Sunday night at the Orpheum Theatre, Boston, March 13 2005. Jill Scott and her crack 13-piece band brought the Big Beautiful tour to Boston last Sunday night. Ostensibly this was in support of the Beautifully Human album. As it turned out though there was a whole lot of the first album, Who is Jill Scott?, on display. As I've noted previously, I've seen her twice before, first when she was an unknown in a small club and then 9 months later at a prestigious venue where she was pleasantly surpised by the double platinum plaques and critical acclaim that had started coming her way. She took an extended break from music "to attend to her mariage" but came back in a big way in the past year. She is fresh off winning a Grammy in that category designed for left-of-center artists who won't sell the tens of millions: Cross My Mind won Best Urban/Alternative Performance. There is no opening act; she starts with a track appropriately called Warm Up in which a dancer brings some urban ballet flavour to the proceedings. The dance was a little off especially given that the Boston Ballet is right around the corner and that we in the audience were expecting earthy soul. Sadly also, us New Englanders were not be blessed with Common appearing on the same bill, something New Yorkers had enjoyed just days earlier. Still how often does every thinking person's favourite soul sister come to your town? They start out in church mode with Golden the first single and a welcome radio-friendly return. After the first chorus, they flip it house style (ala East Coast mix). It becomes hyperactive dance music and she wails away in the Gloria Gaynor mould to the accelerating beat. It's a canny way to make sure that the band has woken up and is ready to keep the Sunday night audience moving. The Jill Scott aesthetic is interesting: if you've ever seen the movie Love Jones, you'll know all about it. There's an urban appeal and refreshing down-to-earth quality to her. She walks down the same gritty Philadephia streets. Her tastes are suitably proletarian. It's soul food from cheese steaks to collard greens. Her man is one step above FUBU but is not averse to the bourgeois stylings of Sean John. When she performs live, she aims straight for the heart. The idea is that of the unassuming girl next door: Jilly From Philly. There's so much love and good will in the building reciprocating to her. She's so warm-hearted and beams at being here performing for us. She looks good and there's that sense of vulnerability that can't be faked. The Girlfriend has a keen condescension detector and even forgives Jill the "interesting" high heeled shoes she's wearing. A mistake Jill laughing acknowledged when she came out for the encore wearing slippers. The subtitle of both her albums is Words and Sounds and as she informs those seing her for the first time, maybe two-thirds of the crowd, it's not just about the music: it's also about the talks. An integral component of a Jill Scott show is her spoken interludes. At times it's almost like a 1-woman musical theater show as she mimes performs these interludes, inhabiting the various characters - a cast that includes annoyed girlfriends, cheating men, and the breakfast disputes of the hen-pecked and their demanding significant others. She sniffed [...] She sniffed... She sniffed, and sniffed and sniffed then finally, "Raheem, right?" Gettin' In the Way is like a shot of testosterone and pure anger. Jill is prepared to take off her shoes to fight for her man. Like Pam Grier in Foxy Brown, she may even have razor blades hidden in her afro. A Long Walk demonstrates what an inventive wordsmith she can be and how easily she can deconstruct romantic liasons. Do You Remember is about nostalgia and as befits the theme is a sing-along around a camp fire. It's Love is a jam done go-go style. There are snatches of the bassline break from Minnie Riperton's Baby This Love, popularized and repurposed in A Tribe Called Quest's Check The Rhime. This is all just to let people know that she's down, that there's a sophisticated and funky musical sensibility at work here. The band is loose, the horns blow with abandon. The crowd is out of their seats. The one-two punch of The Way and Love Rain framed the turbulence that was at the heart of her debut. We all know the words and we made a beautiful sound with her if I may say so. The band has fun with what have become latter-day standards. The horn section is a standout and makes everthing worthwhile. It features Jeff Bradshaw on trombone. He was more subdued than in the past, apparently he proposed to his girlfriend on stage at the previous show, one wonders if there was a touch of apprehension in the air. The trumpet and saxophonist are excellent. The latter, Steve Something-or-Other picks up a flute that is the most welcome complement to the instrumentation and heightens the musical excitement in my mind. She's still obsessed with food, from barbecue sauce, "Put some on it even if you're vegan", to "Scrambled Eggs and Grits" which is the punchline in the former song. The latter features that all-time vivid metaphor: "Loose like bowels after collard greens." One is the magic # proves that she can sing opera in the Latin mode. The Mexican trumpet welcomes us to a fiesta. It's two months before Cinqo de Mayo but we are transported to Latin America or is it spain. Plus there's the defiance of the chorus "There's just me / One is the magic number". It's clever and fun. Slowly Surely is again all about uplift, about recovering from that old desperate love, the maze of love. Every one who's had their heart broken can relate. Those were songs from the first album. Some of the best of the new songs were missing in action; teasing and feinting us with 30 seconds of Bedda At Home and 2 phrases from I'm Not Afraid are not enough. And not having Family Reunion isn't compensated by her recounting of a funny story about her cousin, a barbeque and a woman in furs choking on her food and a surprise reinvention of the Heimlich maneuver. Those who burnished the grassroots appeal for you want to go on the trip with you. Sure she talked about the making those songs, but damnit, I wanna hear them too. Talk to Me (Break it Down / Spell it Out) is lovely soul, it starts out reminiscent of any track from Stevie Wonder's Fulfillingness' First Finale and then it goes firmly into jazz mode with cabaret swing. She's trying to show versatility, she swoons and scats like Ella Fitzgerald. The horns add accents to what becomes a big band tune. When doing the jazz thing make sure your musicians can play in that idiom. The horn section was fine but the bass and drums stay in a funk pocket and don't swing. Her take on the jazz soul thing was better in last year's collaboration with Common on I am Music for his Electric Circus album. That was a dream team affair full of musical virtuosity; Nicholas Payton on trumpet, Questlove on the drums and Common's syncopation and verbal dexterity in a hip-hop cadence melding well with her superior vocal stylings. Of this generation of soul singers, Bilal and Amel Larrieux have the purest jazz sensibility. Erykah Badu follows closely as a stylist who does a mean Sarah Vaughan or Nina Simone impression (see Green Eyes) and can embue her voice an emotion that is close to her core. The straight up jazz stylists, from Lizz Wright on, are more authentic. Rachelle Ferrelle would frankly embarrass Jill in a jook joint cutting contest. Cross my Mind is an epic song that deserved the Grammy. Its wistful mood is that of reminiscing about old flames and relationships that didn't work out. Were they good for us? Only one song was off, Can't Explain. The musicianship was actually very good, the colourings by the horn section (especially the flute) were spot on. I suspect the fault in that particular song was the following: as a lyricist she's very wordy. It normally works well but sometimes brevity is the font of musical wisdom. Anyway it's far better on the album. Whatever is the emotional heart of the concert. Beautifully Human was essentially a celebration of married life, of monogamy and of a deep exuberant love. Whatever is consequently a pure celebration. Live, it is the best expression of where Jill Scott's journey has taken her. She's loving every bit of married life. I'll admit that my heartstrings caught a bit as I rose to my feet for this and did my shower singing with the entire audience. To top it off, the coda reinvented the tune as a salsa escapade and her percussionist took us all to Havana. For the triumphant encore she brought out Not Like Crazy, a new song that is simply virtuosic and full of flourishes including a great saxophone solo to punctuate things. She finishes with He Loves Me, and mimes the ingenue flashes of the first flashes of love. This was written when she found her man and we all sing along recognizing as we all do that emotion she well captured. We're all hopeful we've found our soul-mates. My only criticism of the concert is that she keept to a similar framework as the last album and tour. Having been there in the small clubs at the start when she wasn't known and evangelizing and spreading the word-of-mouth, there wasn't enough of the new album for my liking. A more adventurous artist would have changed the show. I can't imagine someone like Erykah Badu being that conservative, indeed Badu had to be forced to sing her old tunes. 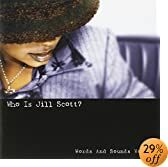 The patter of the old show serves as intimate and seductive introductions for mainstream newcomers to her vibe but I want to get a sense of where Jill Scott is at today on her trip. And we only got a partial sense of that in Whatever and Not Like Crazy. 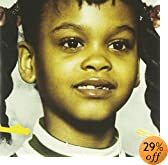 There are few appeals as direct and disarming as Jill Scott, someone who loves performing, an authentic wordsmith and perhaps soul music's warmest and most endearing and expressive voice. She aims for different vocal colourings, the keen sensibility of the horn section and now the flute augment things nicely. The production values though don't take her out of her comfort zone of traditional soul with a little gospel and spoken word thrown in for good measure. Labelmates and poetry auteurs Floetry are in much the same mould. I wish the Hidden Beach label would press for more experimentation but they seem to have a formula that works and gets broad appeal. Back when I was awarding the Toli Music Awards last year, I gave Amel Larrieux the nod over Jill Scott, noting then that my inclinations were for a more angular musicianship even though singers like Scott were sure to sell more records. That's still mostly the case but it's like the difference between Bill Cosby, America's sweater-wearing dad whose universal humour is that of the irascible curmudgeon, and Richard Pryor who fearlessly, and in his very personal way, reminds us of the pimps, hookers and drug dysfunction that are an integral part of the American dream. Last Sunday night, the dynamic artistry of Jill Scott was a very appealing contender and almost made me want to join the mainstream. She has settled on something that will continue to have great success and has grown in a laudable way. In a very canny way also, she seems to have groomed a very loyal female cohort. Of course, in matters of consumerism, where the women go, the men will follow. As the show ends, the genuine warmth and humour show again and she reminds us why there's so much to love in Jilly from Philly. Instead of filing off triumphant and exhausted, she disarms us and stays on stage for a few minutes signing autographs and simply chatting and cracking jokes. She's just a girl from the neighbourhood after all, you may pass her as you walk the streets as you make your way to the grocery store. And for the final note, picking up a flier handed to her from the crowd, she announces the after-party. Wow, this article manages to capture none of the essence of her performance. You can't objectify music because music is subjective: emotional, illogical, expressive and perceptual. Instead of writing about how Jill connects with her audience and tells stories about love won and lost, you're drilling in on the technicalities and styles of her band's delivery. The band is phenomenal, and not to be categorized. Music is beyond the limits of genre, music just is. One of the most beautiful things about Jill is that she puts in messages vital to developing whole self and community spiritual health in each album. She dedicates different tracks to each different purpose she chooses to fulfill through song. You completely missed that, Toli. I'm supremely disappointed at the whole tone of this written work. Its lifeless and manages to dwindle something as orgasmic as the Jill Scott experience down to a listless shrug. When I say I prefer Richard Pryor to Bill Cosby, that doesn't mean I don't love Bill Cosby to death. So it is with Jill Scott. I was right there when the Jill Scott experience blew up. I was right there dragging 10 of my friends to small clubs telling all and sundry that she was the next big thing - acting almost as her street team. I'm still there and I'll forever be first in line to buy her cds and concert tickets. But I do have perspective and like all the musically obsessed, I can't leave well enough alone; I have this need to place her in some context. Her connection is very real and genuine, emotional illogical like you note. Her new album is a fabulous work but its essence was barely scratched in concert. I want to see growth! I want to know where she is is today, not yesterday. Given the care and craft she obviously takes with her material and in her vocal effects (every song has different colouring), she's at least making a claim to be received as a higher sort of artist, not just your down-home soul sister. She should be judged accordingly. Her band is indeed phenomenal (but they were better and looser in previous concerts). They only really stretched out in the newer songs and they lost the audience in a couple of songs maybe because Jeff Bradshaw was not his usual over-enthusiastic self. Not every night is like playing Madison Square Garden, and some sunday nights with a Bostonian crowd, the adrenaline isn't quite there. But hey, I must love the girl, 2,000 words later, I'm still thinking, and arguing, about the meaning of Jilly-from-Philly. Or perhaps it should have been 200 words ;-) ?